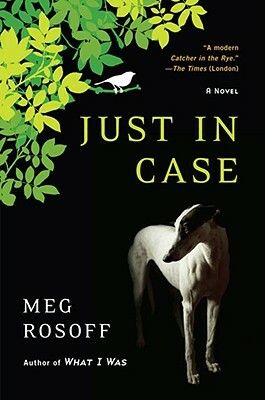 Meg Rosoff's wit and imagination are eye-popping. She is already a star in the UK--her first novel How I Live Now sold hundreds of thousands of copies there--and she's won numerous awards on both sides of the Atlantic. Fans of Mark Haddon will devour Just in Case in one or two sittings. Up to now David Case hasn't questioned his relatively good fortune. But a heart- pounding scare with his much younger brother shocks him into considering the fragility of life. He starts thinking about all of the truly awful things that can happen in life and concludes that Fate is out to get him. And so he decides to trick Fate. He changes his name and his appearance, makes new friends, and dares to fall in love with the seductive Agnes Day--all in the hope that he'll become unrecognizable to Fate and thereby save himself from doom. With an imaginary greyhound in tow, Justin struggles to maintain his new image and above all, to survive in a world where tragedy is around every corner.